When you were a child, did you ever get roped into the post-meal kitchen cleanup? You could always tell that it was about that time because the adults would start pushing plates back and the conversation would begin winding down. This is when you wanted to make yourself scarce, or you’d be elbow deep in dishwater before you knew it! 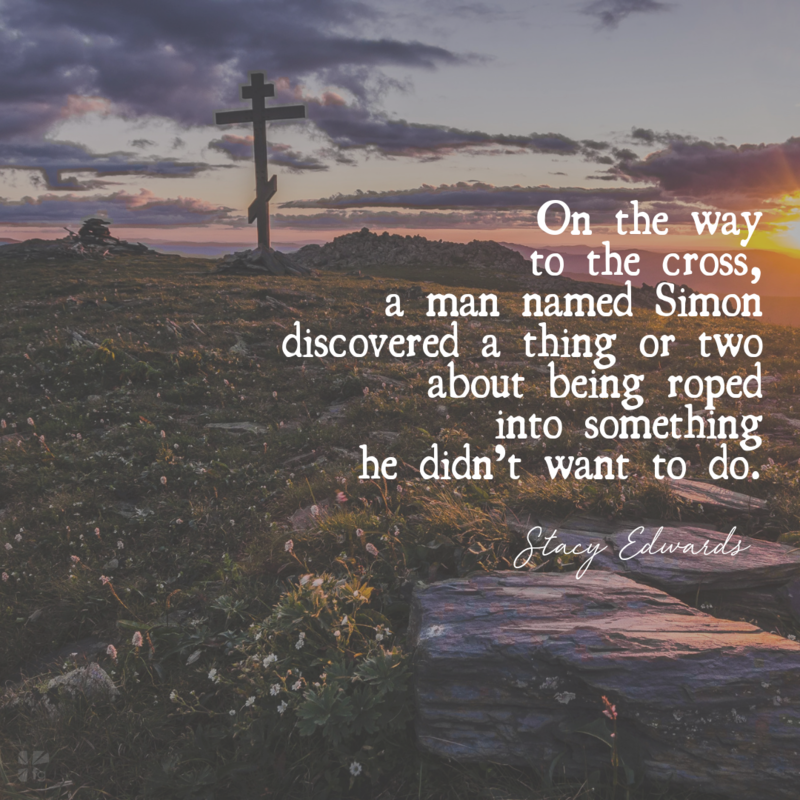 On the way to the cross, a man named Simon discovered a thing or two about being roped into something he didn’t want to do. We don’t know much about Simon of Cyrene. Scripture says he had just come in from the country, and he was in the crowd when Jesus was being led to His death. He was close enough to the action that, when the guards reached for someone, they were able to grab him. Before he knew it, he was carrying the cross and following in Jesus’ footsteps. When we decide to follow Jesus, we have no way of knowing what it will look like for us. We may simply serve Him behind the scenes. Yet we must also be prepared to be picked out of the crowd. We may be picked out for public ministry or put on the spot when sharing our faith. Matthias was the disciple chosen to replace Judas as one of the Twelve. One of the requirements for Judas’s replacement was that he be someone who had been among the group from the beginning. It had to be someone who had accompanied the apostles during all the time when Jesus went in and out among them (Acts 1:21). Just like that, someone who had faithfully followed was given a new assignment. Other times, we will be picked out for acts of sacrifice in the name of Jesus. Simon had no way of knowing that he would end up with a cross on his back. But are we ever closer to Jesus than when we feel the weight of the cross? Whether you are to be Matthias or Simon, always be prepared to be picked. How? 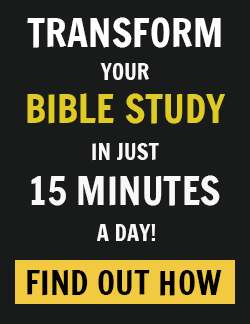 By being faithful in the study of God’s Word. By being consistent in prayer. By being prepared with a heart of trust, willing to go wherever God calls you — even when it’s unexpected. Lord, help me to always be prepared to be used by You. May I be ready to serve and sacrifice when You call my name. 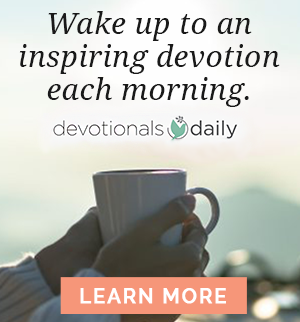 Excerpted with permission from Devotions for Easter by Stacy Edwards, copyright Zondervan. Does it seem like prayer is a small thing, that it matters little in comparison to other spiritual gifts and acts? Yet, prayer is what prepares us for whatever the Lord calls us to do and it give us the fortitude to walk it out! Come share your thoughts with us on being prepared to serve through prayer on our blog. We want to hear from you!